MIAMI–(BUSINESS WIRE)–CMX Cinemas, the eighth largest movie theater chain in the U.S., has named its new Chief Executive Officer, Jose Leonardo Martí. Most recently, Martí led the recent acquisition of Cobb Theaters and CinéBistro for CMX Cinemas. A 30-year career finance and cinema veteran, Martí led the acquisition which now has CMX Cinemas operating 36 locations in the U.S., making it one of the largest movie theater chains in the country. As CEO for CMX, he is responsible for spearheading the company’s aggressive growth expansion plans. 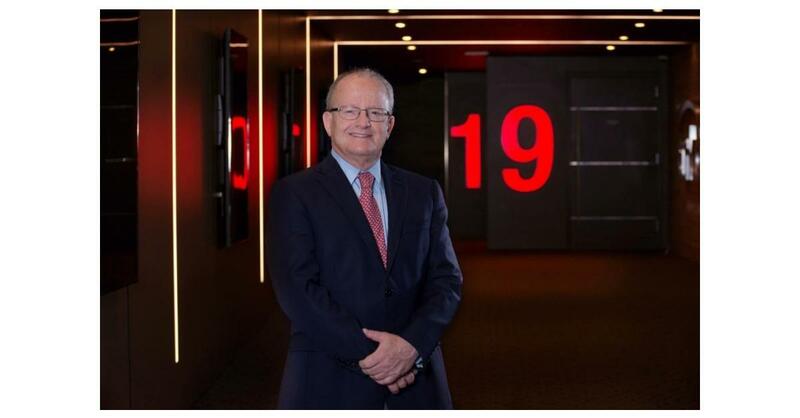 For nine years prior to his role as the CEO for CMX Cinemas, Martí was the CFO and CEO for Grupo Cinemex, S.A. of C.V. and CFO for Latin America Movie Theatres where he led the acquisition of nearly 500 screens, leading the company to be the second largest movie company in Mexico. Prior to his thriving career path in the theatre industry, Martí worked for Grupo Mexico S.A. of C.V. and for a number of internationally renowned organizations including Scotiabank Inverlat S.A., and Citibank N.A. in Mexico. From 2015 to 2018, Martí was also the president of the Cámara Nacional de la Industria Cinematográfica (Mexico’s National Chamber of the Cinematography Industry). Martí received a Bachelor’s Degree in Economics from Instituto Tecnológico Autónomo de México and Master’s degree in Business Administration from the University of Chicago. This year alone, CMX’s robust expansion plans included new locations in Tallahassee and Chicago and the upcoming opening of CMX CinéBistro in New York, in October. This venue, located in the Upper East Side, is set to be the most elegant and exclusive movie theater in town. For more information about CMX Cinemas, visit https://www.cmxcinemas.com/ or follow us on social media @cmxcinemas. CMX Cinemas, a wholly owned subsidiary of Cinemex, opened its doors in April 2017 at Brickell City Centre, Miami, FL, offering new features to give guests an innovative and VIP movie-going experience. CMX provides state-of-the art technology that can be enjoyed through different types of experiences: CMX CinéBistro, the luxury dine-in and in-seat service; CMX Market, the gourmet grab and go movie experience and CMX Cinemas, the upgraded traditional theatre with classic concessions. It also features the trendy and exclusive CMX Stone Sports Bar at selected theatres, making CMX the one-stop-destination for entertainment. CMX, with the opening of the New York theater, will have 37 sites, 388 screens and 2,450 employees, in venues located in Florida, Illinois, Minnesota, Georgia, Alabama, North Carolina, Ohio, Virginia, Maryland and Colorado. New openings are scheduled in New Jersey, Illinois, Florida and Georgia during 2019. Cinemex is one of the top ten cinema chains worldwide, with 332 sites and 2,861 screens and 13,000 employees. Founded in 1995 with the intent to revolutionize the movie entertainment industry, Cinemex began installing multiplexes and stadium-style seating with the primary focus of attending every guest’s needs. Today Cinemex continues to offer innovating concepts in cinema-going, including Platino Cinemex and Cinemex Premium, state-of-the-art theatres equipped with luxury seating and first-class dining, Cinemex 3D, and the 4D experience. At Cinemex, being the best in entertaining our guests is our main goal.